Wedding Hanging Ornament, Resin and Stone mix. Has filigree, rhinestones, sheer ribbon and dangle. 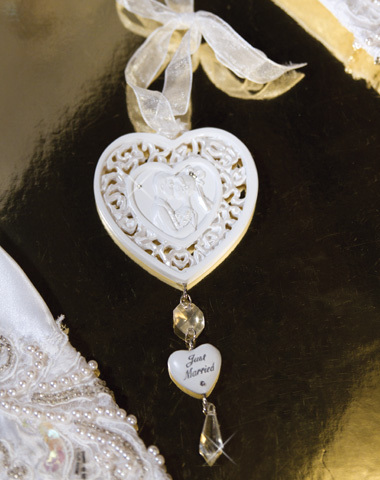 This beautiful hanging ornament has pierced filigree detail surrounding the center heart with crystal like dangles to give the ornament a little BLING! 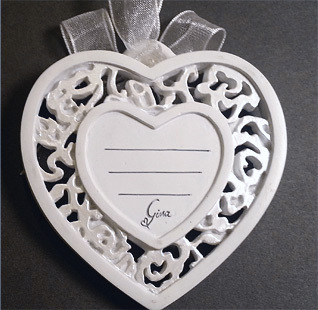 On the back of the ornament you can personalize the piece by adding your names and the wedding date.